Drift to dreamland with this blend designed to encourage a peaceful and restful sleep. The perfect companion for those restless sleeping partners who keep you up. Before bed, apply to soles of feet and under the nose. Wear socks to prevent absorption into sheets. Reapply as desired. Keep out of reach of children. For external use only. If accidentally swallowed, seek urgent care/call poison control. Avoid eyes and mucous membranes; if contact occurs, rinse with vegetable oil. Do not use if pregnant/breastfeeding. If allergic reaction occurs, stop use and consult a health care practitioner. For prolonged use, consult a health care practitioner. Grounding; lulls the mind and body into a calmer state. Refreshes a tired mind while adding a herbal note. It works. I am very pleased that I don't need to take sleeping pills all the time. 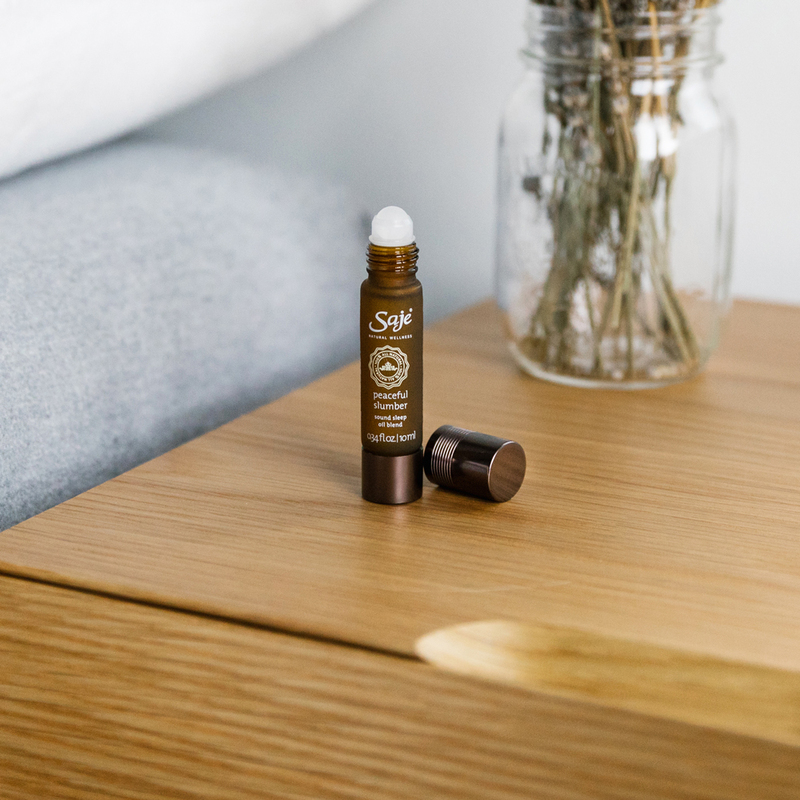 Perfect natural remedy; I am very thankful to Saje. My husband has not complained about my snoring so it appears to be working. Helpful for sleep. Love the smell. Scent is not overwhelming.